Children are a gift from God! Attend any service at Mount Vernon, and you’ll see how much we love children. We have a lot of them, and believe that each one is a gift from God. God calls parents to be the primary disciple-makers of their children. Mount Vernon is here to partner with them in that task. Through our ministries and the friendships parents make, we seek to be intentional to speak the Word of God into the lives of children so they might hear and respond to the good news of King Jesus, who died and rose to save sinners. It is never too early to begin to teach children the truth of the Gospel. From the smallest of infants to the most energetic of preschoolers, we want to tell them that God made them for His glory! During Sunday School, our nursery workers love and care for your children and provide a safe and enjoyable place for them to rest, play, and be fed. 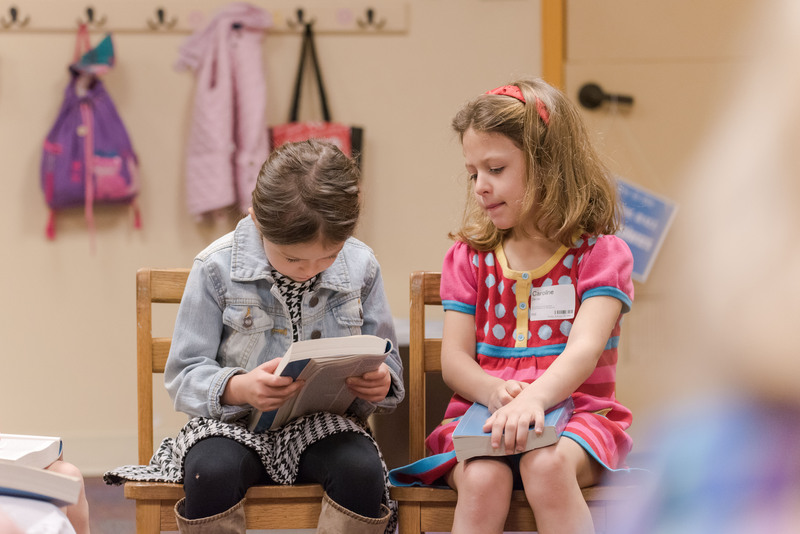 We teach curriculum from Children Desiring God and The Gospel Story Curriculum. During our morning worship service, we provide childcare for children birth-age 5 with activities, Bible studies, snacks, and recreation. 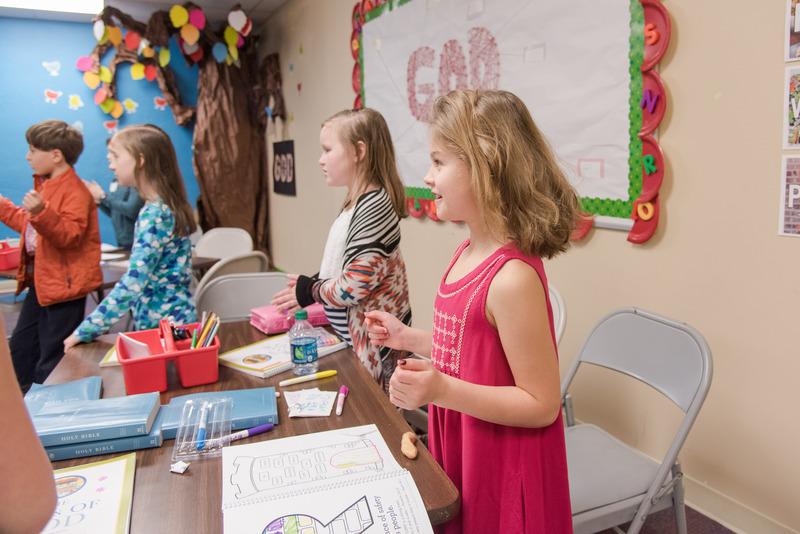 While you enjoy Equipping Matters, your preschoolers enjoy singing, Bible studies, and activities from The New City Catechism. Our goal is to welcome in all children with special needs—showing them Jesus, including them in classes and activities with their peers, and creating a space where they experience belonging and growth in relationships. Throughout the year there are a number of special events for preschool kids, including Vacation Bible School, Carols and Cocoa, and an annual Christmas Party. We want to capitalize on theses very formative years in children’s lives as they begin asking personal questions about God and the Gospel. 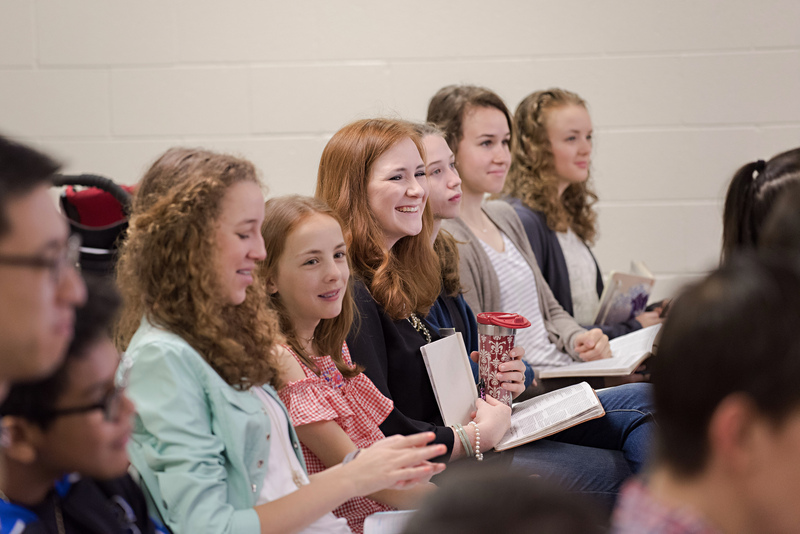 Classes are divided into groups by age, and are taught from Children Desiring God and The Gospel Story Curriculum. Classes are divided into groups by age. Half of their time is spent playing games and half is spent studying The Gospel Story Curriculum and Praise Factory. Throughout the year there are a number of special events for elementary kids, including Vacation Bible School and summer camp at Camp Arrowwood. Youth gather for teaching in a large group setting followed by small group discussion with their peers. Youth meet Wednesday nights after dinner for fellowship and small group book studies during the fall and spring. This is a group study and discussion led by a member of the church. There are a number of special events and retreats for youth throughout the year. They have monthly Saturday night fellowships and Game & A Good Word. There is also a winter retreat, local service projects and mission trips, a rafting trip, and summer retreat to the D3 Conference. Family and friends are welcome to participate. We take the children’s safety and well-being very seriously. We have a detailed “sick-child policy” and check-in and check-out procedures. Furthermore, all childcare workers undergo a thorough background check and training. Read our Child Protection Manual.